Written in 1937–38, this concerto was dedicated to the Hungarian violinist, Zoltán Székely. Its aesthetic fits with the Interwar era in which is was composed; dabbling with serialism and 12-tone themes. Here violinist Kyung-Wha Chung with Suedwestfunks Symphony Orchestra conducted by her brother Myung-Whun Chung; filmed in 1984 for SWR Germany. Competitions are for horses, not for concertos. I was reading too fast and thought it was between Tchaikovsky and Mendelssohn, which would have been a tough call. Ah, yes! My inspiration to learn Mendelssohn was indeed Jansen's rendition. I'm a sucker for Mendelssoh. This one was really hard for me! But I went with Mendelssohn in the end... I'm surprised it's not more of an equal match-up. 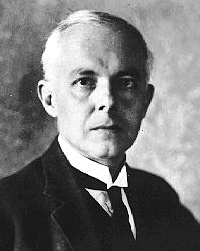 I often see Bartok 2 portrayed as the violin concerto masterpiece of the twentieth century. Two very worthy concertos in the same pairing. Not easy but ultimately Mendelssohn. No question for me here. Although the Mendelssohn is beautiful, it's Bartok all the way! I love his style! Voted for Bartok. Mendelssohn didn't even make my original 16 I submitted to Laurie. Personally, I find it over-rated and have never enjoyed playing or listening to it (feel same way about Bruch #1). There was no way Bartok would won. Although I voted for him, but it was a tough call. In the end it was that Mendelssohn's a great piece of beautiful music, weras Bartok's is a flash of genius. "Conservatism rules" is a conclusion not supported by evidence. Maybe some of us really like the Bartok but we like the Mendelssohn more? 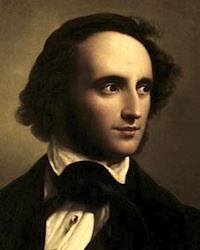 It is kind of unfair to compare Mendelssohn with something composed almost 100 years later, as the case is here. There is a tone of stuff you have to consider to be as objective as you can. Either way I think that Bartok has more things to say today than Mendelssohn, either though I know how unfair this may sound.